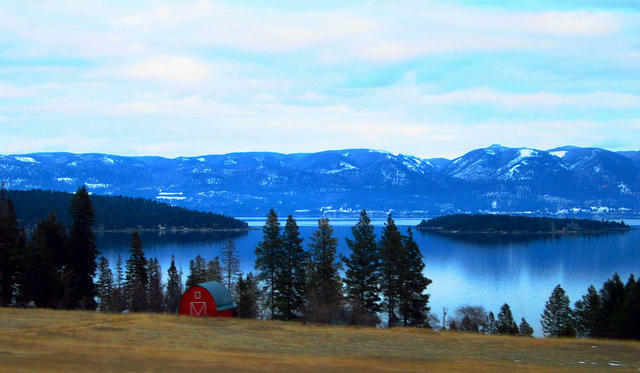 A committee of state lawmakers said this week they still don’t they have enough information to recommend passage of the long-awaited Flathead Water Rights Compact. The Montana Department of Natural Resources and Conservation submitted a report to the Water Policy Interim Committee which was intended to answer lawmaker’s questions about the compact after the document was tabled by the 2013 Legislature. Committee Chairman Sen. Chas Vincent (R-Libby) said the report did not fully accomplish that goal. "There were some concerns that were not addressed in that report and we heard that pretty loud and clear," Vincent said, referring to heated and split public comment received at the committee’s meeting this week. 17 water rights compacts have passed the state legislature. The Flathead water compact is the only one that has not. Tribes have been negotiating with the state and federal governments for 12 years to come to an agreement on how water will be shared on the Flathead Reservation. Vincent said while that may be true, lawmakers received the final compact a month into the last legislative session. He believes that wasn’t enough time for lawmakers to decide whether or not the compact was fair. “When you have hearing rooms split right down the middle and pretty much half saying it is and half saying it isn’t and not being able to make a determination, we wanted some more time to digest,” Vincent said. Attorney Jon Metropoulis represents the Flathead Irrigation District, which makes up the majority of irrigated land within the reservation. The irrigators who use that land are both tribal and non-tribal members. Metropoulis said all parties involved want to reach an agreement—but he says his clients do not support the compact as it is now. He believes there are still questions about who owns some specific water amounts. The state and the tribes say irrigators in the area will not be losing water in the deal. Metropoulis wants that information verified. “We really hope that there’s room to talk further,” he said. Metropoulis did not go far as to use the word re-negotiation. And the tribe’s say that’s not an option. Communications Director for the Salish and Kootenai Tribes, Rob McDonald. “I think the message always has been that this is done, this is—a lot has been given up,” said Communications Director for the Salish and Kootenai Tribes Rob McDonald. Bozeman Democratic Representative Kathleen Williams sponsored the Flathead compact last session, and supports it today. “I think the compact was a creative yet complex way of providing some solutions,” she said. Yet, she is also on the Water Policy Interim Committee and said if lawmakers want additional information on the compact, the state should bring it to them. She hopes they learn enough about the compact by the next session to support it. That’s the last chance for the compact to pass before water rights on the Flathead Reservation must be decided by the courts.